Marie Walcott, MD has joined the dynamic team of orthopedic surgeons at Agility Orthopedics in Stoneham. 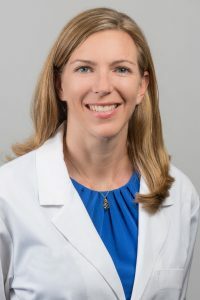 With affiliations at the Melrose Wakefield Hospital, Lawrence Memorial Hospital of Medford, and the Winchester Hospital, Dr. Walcott will build her practice around surgery of the shoulder and total shoulder replacement, including reverse total shoulder replacement. Having recently completed her shoulder and elbow fellowship at the Massachusetts General Hospital under Jon J.P. Warner, MD, Dr. Walcott also completed two additional shoulder fellowships in Annecy and Nice, France. Dr. Walcott completed her medical training at the University of Massachusetts Medical School and her orthopedic surgery residency at the university of Massachusetts Department of Orthopedics and Rehabilitation. Although her clinical interests are with the shoulder, she will also be treating patients with general orthopedic conditions. Along with her academic achievements, Dr. Walcott was a Division 1 athlete at Brown University on the crew team winning Division 1 NCAA national championships in 2002 and 2004. She later served as the varsity rowing coach at Assumption College. She still spends her free time rowing on the Charles River and also has a special expertise and interest in treating rowing injuries. Agility Orthopedics is located at 92 Montvale Ave, Suite 1400 in Stoneham. Agility is comprised of 7 orthopedic surgeons, a rheumatologist, 4 physician assistants, and a team of physical and occupational therapists.